Rabbi David Horwitz is a rosh yeshiva and the Rabbi Dovid Lifshitz Professor of Talmud at the Rabbi Isaac Elchanan Theological Seminary of Yeshiva University. He also is an instructor of Jewish history and Jewish philosophy at Yeshiva College and teaches an advanced shiur (lecture) for the Yeshiva Program/Mazer School of Talmudic Studies. In 1997, Rabbi Horwitz received Yeshiva’s 13th Annual Moshe and Madelaine Baumel Judaic Faculty Incentive Award, which honors outstanding Jewish studies educators at the University and RIETS. 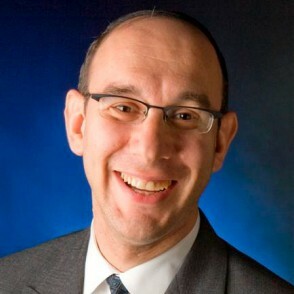 Rabbi Horwitz is an alumnus of Yeshiva University High School for Boys (where he won the National Bible Contest, Chidon Hatanach), Yeshiva College, Bernard Revel Graduate School of Jewish Studies, and received his semikha (rabbinic ordination) from RIETS, where he was a fellow of the Gruss Kollel Elyon. Sefirat HaOmer – Is Verbalization Necessary?